Research | Operation HOPE, Inc.
Elaine Hungenberg, SVP, HRII, will moderate a panel on Millennials and the US Housing Market. 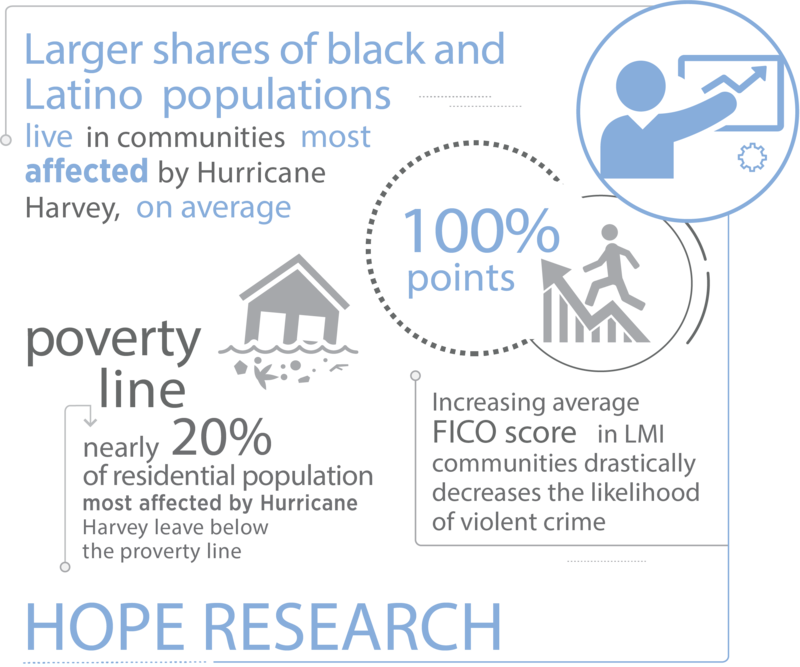 The HOPE Research and Impact Institute is committed to conducting in-depth research that leads to innovative solutions to socio-economic problems facing society at the local, national, and international levels. It brings together leading experts in finance, research, academia, and public policy to provide the highest quality research, thought leadership, policy recommendations and analysis on a full range of issues surrounding poverty, financial wellbeing, disaster preparedness and recovery, and economic growth. As the reporting and measurement division of HOPE, HOPE Research and Impact Institute also serves as the central body responsible for measuring and evaluating the impacts of HOPE’s programmatic services portfolio. Operation HOPE’s experts are purposed and experienced evaluators of financial empowerment programs and resulting impacts on individuals and communities. HOPE currently works to empirically validate its financial empowerment portfolio to ensure it delivers best-in-class programs to individuals around the nation and across the globe. publications, the HOPE Research Institute is dedicated to expanding the mission of HOPE through quantitative and qualitative studies. Despite a strong regulatory environment (Georgia has outlawed Payday Loans) the state—Fulton County, in particular—has a very high percentage of unbanked residents and has seen an increase in the number of pawnshops and check cashers in recent years. These alternative financial providers are clustered in majority minority neighborhoods, exacerbating the cycle of financial exclusion for Blacks and other minority residents. The estimated unbanked cost for the city of Atlanta annually is $96.5 million.